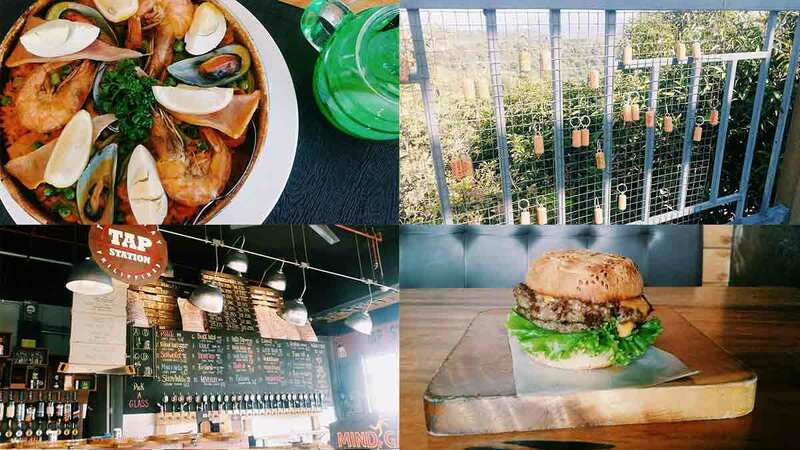 Through the years, Tagaytay has been every Manileño’s go-to place for a quick escapade. Just a two-hour drive away, the chilly city never fails to satisfy our craving for fresh air, some greens, and of course, a hot bowl of bulalo. If you’re like us, who’s been there for too many times already, you’d probably want to explore and go beyond the usual favorites (Leslie’s, Bag of Beans). 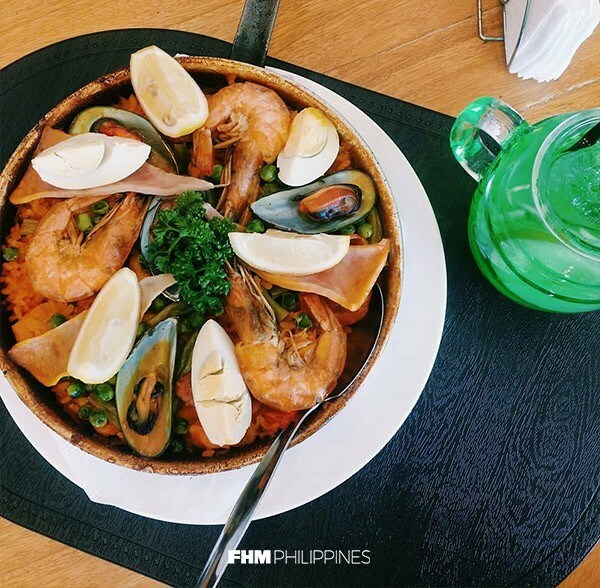 If you’re planning to get away with your special someone this weekend, here are four can’t-miss food spots located at Twin Lakes, Tagaytay—all overlooking Taal Volcano. 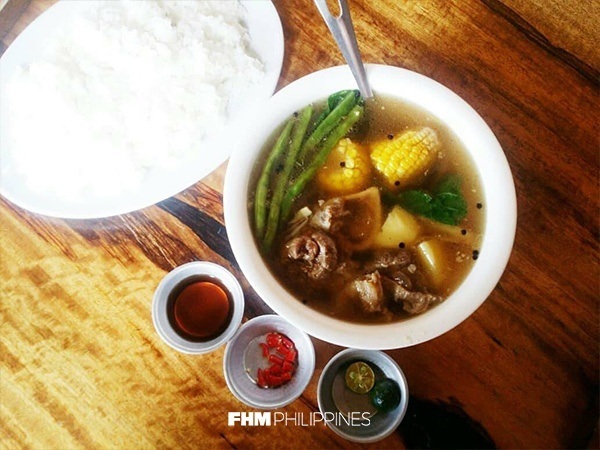 A Tagaytay food crawl list wouldn’t be complete without the iconic beef stew. If you want to try a new version of this sinful soup, then head for The Farm Organics. Their Special Bulalo (P330-490) is from all-natural, grass-fed beef. Notice the difference just after a sip of its pure broth and bite of that mouth-watering bone marrow. And don't forget the suka! 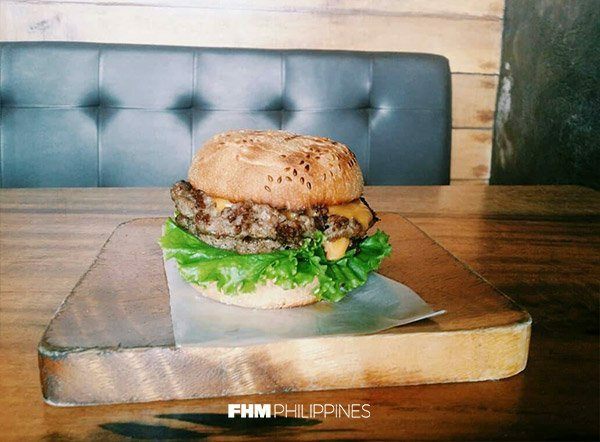 Another must-try is their Double Cheeseburger (P330-420), which is a little expensive than the regular burger. But trust us, its juicy, organic patties are worth every peso. All the ingredients—from beef and veggies, to even fruits and spices—are sourced from their own farm in Masbate. Ideal if your SO is craving for something Italian. The homey restaurant is known for its legit delizioso dishes, including a wide array of pastas, salads, pizzas, risottos, lamb, steaks and other entrées. 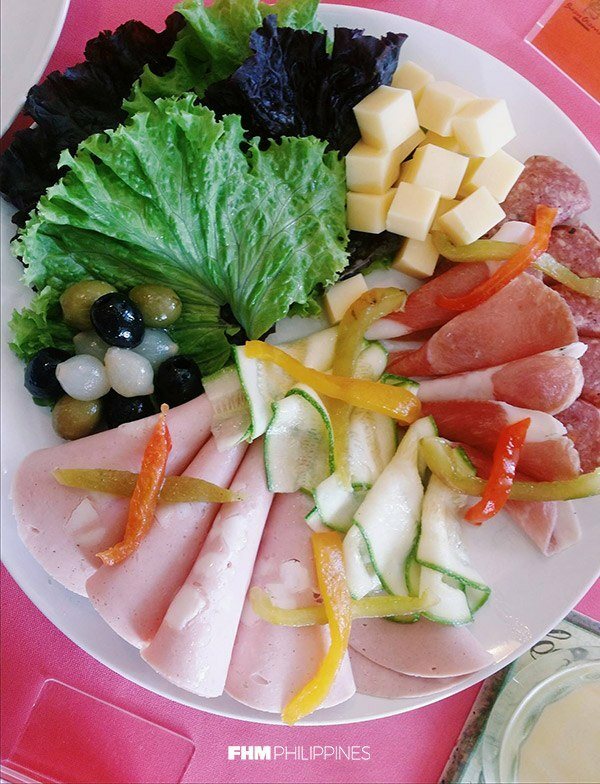 For starters, order the Antipasto Platter (P385)—marinated olives, pearl onions, roasted peppers, cheese, and Italian meats. Pair it with a glass of wine and you’re good. 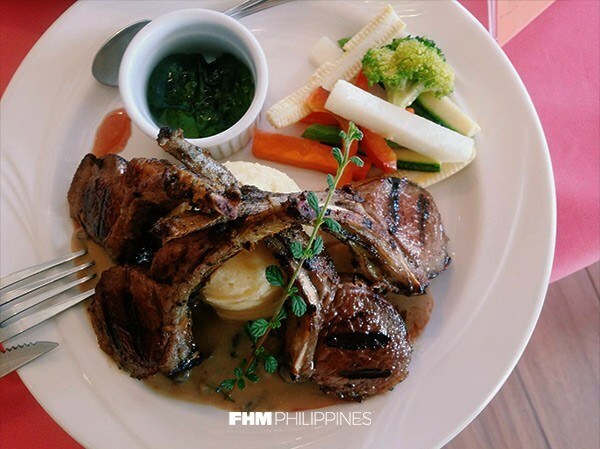 For the main dish, we recommend the house specialty, Carre di Agnello con Salsa Al Vino Rasso (P830). The rack of lamb is roasted, herb-crusted, and smothered with red wine sauce. Gustoso! 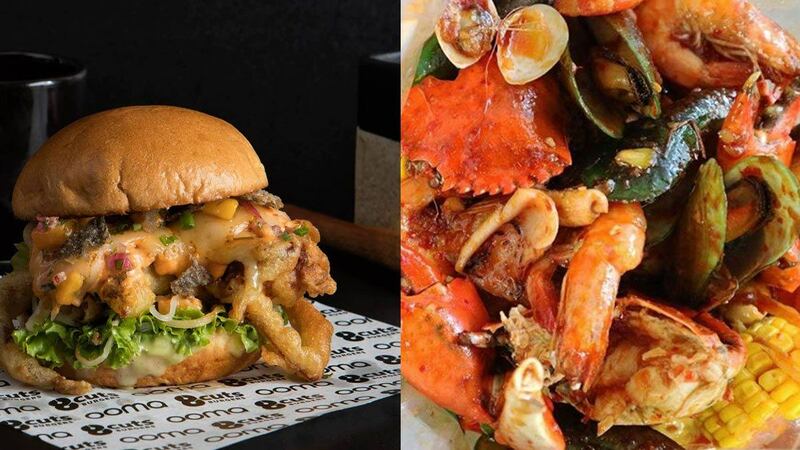 If you have the budget, take your date on a seafood feast. 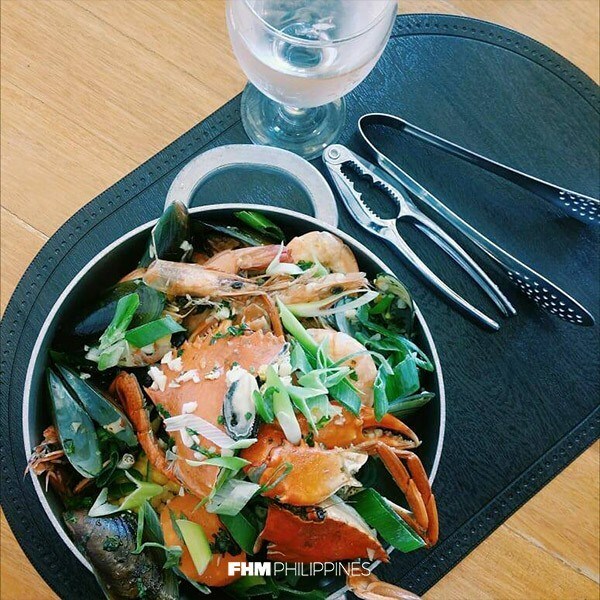 Impress the missus and order Silver Bucket’s special Mixed Seafood (whole portion, P1,900). Each bucket contains succulent portions of crabs, shrimps, clams, mussels, all blended with their special Cajun sauce. Or check out their Arros A la Valenciana (P1,000). This Spanish favorite is basically a hefty serving of saffron, chicken, chorizo, shrimps, and eggs. One plate isn’t enough, so don’t be shy to go back for seconds. End the night by quenching your thirst with an ice-cold mug. 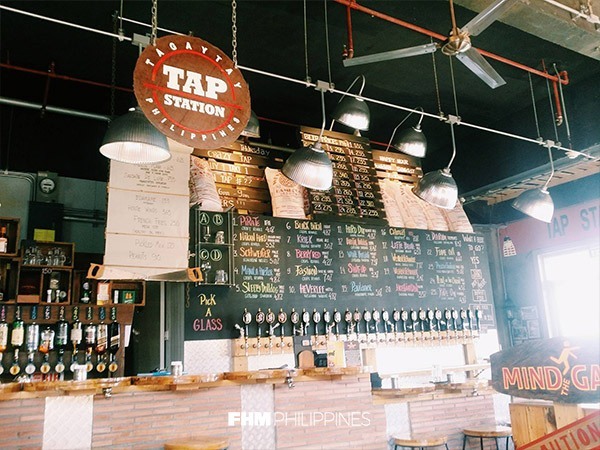 Tap Station has over 25 choices of craft beer one can choose from. Prices range from P185 to P340. The pub also offers a perfect view of the Taal Volcano just outside its windows. Make the moment more memorable and romantic with a couple cork key chain. 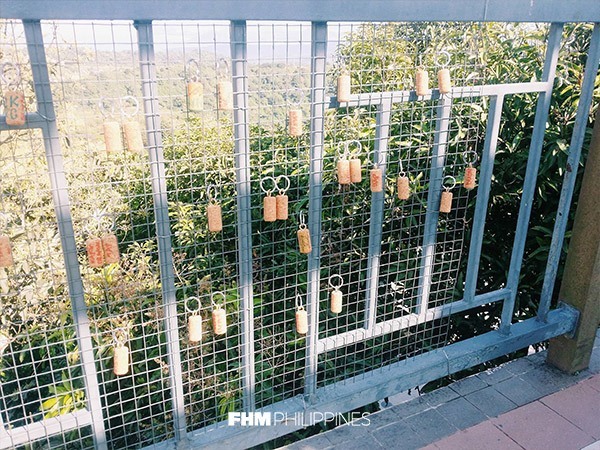 Just like the famous love locks of Paris, profess your love to your partner by linking it to the fence. We know, it’s cheesy, but we’ll do anything for the lady.